Another new on-demand food delivery service is making a run into the local market. 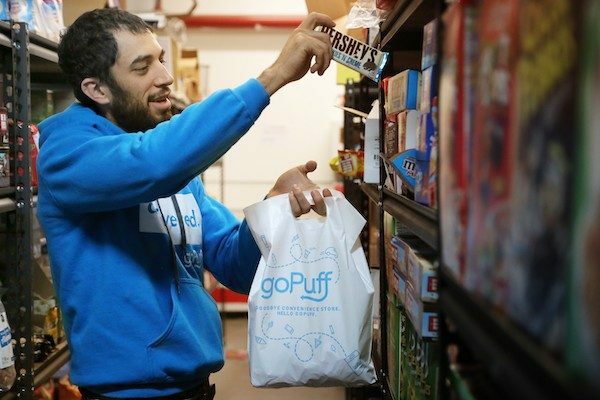 GoPuff, a Philadelphia-based startup that delivers goods one would find at convenience stores, has launched in Richmond. The company was founded in 2013 by Rafael Ilishayev and Yakir Gola, who at the time were students at Drexel University. Gola was the only one among their group of roommates who had a car and was making runs constantly to the local Wawa or 7-Eleven for the group. 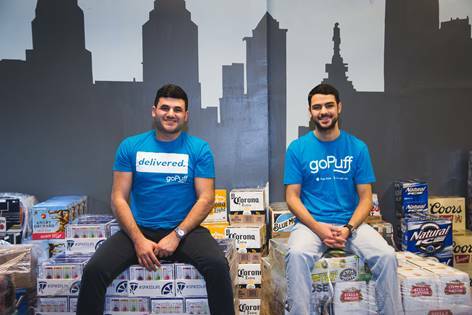 Gola and Ilishayev thought about turning their beer runs into a business model and launched GoPuff. The two would drive around in Gola’s Plymouth Voyager minivan making deliveries around Drexel and the University of Pennsylvania campuses. GoPuff is now live in nearly 50 markets nationwide, many of which are college towns, with over 500 employees and thousands of its own drivers making deliveries. Per startup database Crunchbase, GoPuff has received $8.3 million in venture funding. Co-founders Rafae Ilishayev and Yakir Gola. The company rolled out a soft launch in Richmond during the summer and recently acquired a license to deliver wine and beer in town. Spokeswoman Liz Romaine said GoPuff stocks over 2,000 products at a warehouse in the city’s Northside. GoPuff delivers for a flat $1.95 fee and operates from noon to 4 a.m. every day. Orders can be made through GoPuff’s website or mobile app. Its local delivery radius is north of the river, spanning downtown, the Fan, Museum District, Lakeside, the Near West End and Scott’s Addition. Romaine said they’re interested in expanding that territory. The food delivery market in Richmond is competitive, with national and local players fighting for their share. Postmates and DoorDash launched in Richmond this year, joining other national brands such as UberEats, Seamless, EatStreet and GrubHub. A number of local players are in on the action as well. Startup Chop Chop launched this year, while bike courier service QuicknessRVA has been active in Richmond since 2010. GoPuff’s delivery radius in Richmond.